Click here more information about the project. Thank you all for coming. I am thrilled to have the opportunity to be here at the Carolina Science Cafe this evening. I can't think of a better way to end the work day than by talking about research and having a pint, and based on your presence here tonight, neither can you. I'm John Martin. I'm a PhD student in the School of Information and Library Science here at UNC. I thought it might be useful to talk a very briefly about my field and about the school, SILS, at UNC. You can find us in our UNC home at the School of Information and Library Science over in Manning Hall. We train professional students who go on to do a wide range of things from working in libraries to designing and developing information systems, including some of the social media platforms that we were just talking about. SILS also has a long history with Science Cafe. The very first event in 2007 featured Fred Stutzman, at the time a PhD student at SILS, talking about Facebook as it was starting to be used outside of the university setting. We are concerned with how people interact with information: how they find and retrieve it and how they use it. As part of information use, we're interested in how people create, share, disseminate, and divulge information. I'm going to be talking tonight about privacy online, but not necessarily in the way that we're accustomed to thinking about it. I think we usually come at privacy, particularly as it pertains to personal information, as a matter of making sure that our data, credit card numbers, social security numbers, etc. are nice and neatly locked up where no one can get to them, protected by a super long password with upper and lower case letters, number, non-alphanumeric symbols, etc. I tend to think of this notion of privacy as being too wrapped up in the security of personal data. But that is not really the thing I'm interested in. We have and will always have mechanisms for protecting our data, and there will always be people figuring out ways to break them. Instead, we're going to approach privacy in terms of the information that you might share and disclose to people or in places you trust. And to further contextualize the discussion, I'm going to talk about a study that I worked on which involved the ways that people disclosed information that might incriminate them in several online drug forums. First, though, I want to ask some icebreaker questions that will help us get thinking in the right direction. How many of you use some form of social media platform, like Facebook? Has anyone ever interacted with an online discussion forum? These have a lot of different forms, so anything that facilitates discussions online, like a comments section, or reddit. Anyone for Twitter or something similar? WhatsApp, Facebook messenger, Snapchat, YikYak? So all of those are different, obviously, but in each case, when you use them, you are typically broadcasting a variety of different personal information. There are mechanisms in place to help you manage that activity. So, let's see how aware we are of those. How many of you have recently checked the privacy settings on your Facebook accounts? Or maybe read the documentation that comes along with a change in the privacy policies? How about permissions? Do you keep your Instagram, Facebook, or Twitter accounts set to private so that only people you follow can see your posts? API stands for "Application Programming Interface." How many people here have read the documentation for one of these to see what kind of information can be automatically extracted from a platform for the purposes of data mining? No one? These are in use at all times on most social media platforms. A lot of platforms also encourage researchers to use them to sample for research purposes. How many of you think that there is someone watching you online? If you answered "no," I'm sorry to have to disappoint you. Often, even if we know that we are being observed online, we assume that our identities are still anonymous. A few years ago, several of my colleagues and I were looking at different online forums, thinking about doing a study of this phenomenon and we realized that people seemed to talk about things that they would only reasonably want to talk about in private, but they were doing so in public on reddit. Furthermore, when we started exploring the space to see what we might be able to study, we found that there were a lot of people talking openly about illegal activity, sometimes while they were in the process of doing it. 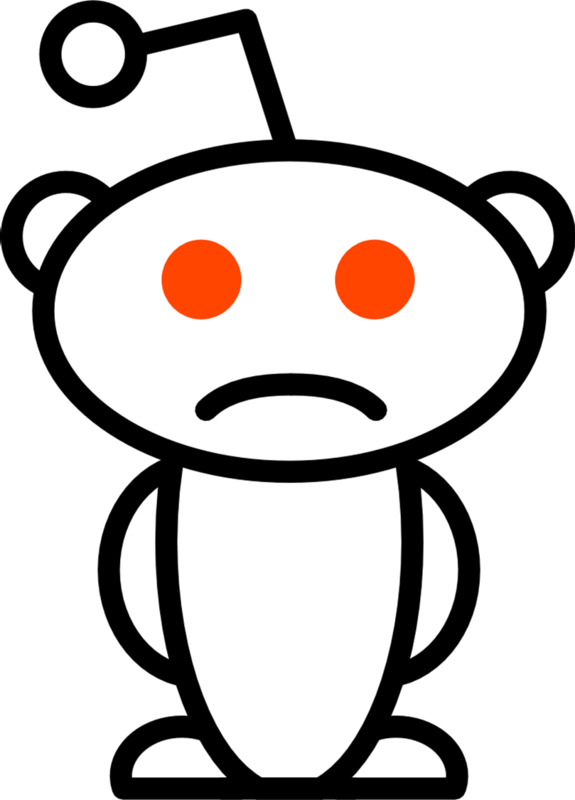 Redditors, as they are called, tend to believe that they are anonymous, for a number of reasons. They use handles/usernames that do not typically correspond to real names. They also have a "handshake agreement" to not d0x one another. Redditors, as they are called, tend to believe that they are anonymous, for a number of reasons. They use handles/usernames that do not typically correspond to real names. They also have a "handshake agreement" to not d0x one another. This does not mean, however, that people do not do this to one another. We set out to better understand how disclosure works in public online spaces like this by attempting to identify behavior patterns associated with sharing and disclosing information in these discussion forums. We targeted our study at two drug subreddits, which is reddit for "forum," r/opiates and r/trees, dedicated to discussions of opiate drugs and marijuana, respectively. We collected data over the course of a week using a technique called web-scraping, where we programmatically downloaded the text of all posts and comments on our selected forums. Prior to this we had sampled within the forums to develop a set of behavioral categories through analytic induction. This just means that we all read all the posts, made notes about what behaviors we saw and then discussed those behaviors until we had a set of codes that we thought we could apply to a new sample. We used mixed-methods cotent analysis to approach the data. Because we coded the qualitative data such that the categories used were mutually exclusive, we did a statistical comparison of the distribution of the behaviors we identified in each subreddit. You can see this in the handout. Additionally, in the long form of the analysis, we were able to draw examples and thick description from the scraped text. This provided for a rich picture of disclosure behavior patterns in this space. As you can see in the two charts, we found that in the context of r/opiates, giving advice to other users was most prevalent. In our sample, there were many top level posts in which one user would ask how to go about administering or combining drugs. In one example, a user said that he was about to inject heroin for the first time, and he wanted to make sure that he didn't mess it up, because he only had one needle. There were a huge number of replies to his request for advice. They ranged from technique to warnings and admonitions not to start using it in this way. Off-topic communication was plentiful in both forums. Defining or deciding what is "off-topic" in this space is somewhat difficult, but we categorized anything that was not directly related to the topics generally covered by the forum. This is mostly phatic communication (or the equivalent of grooming behavior in interpersonal communication). These posts ranged from certain kinds of social support to jokes to expressions of thanks. Banter was overwhelmingly present in r/trees, which is possibly to be expected, given the focus of the forums. Unsurprisingly, there are a lot of stoned people on r/trees. One such thread, which was a struggle for all of us to code, in part because it was more than a little tedious, was all about the music that redditors like to listen to while stoned. So, the replies were primarily lists of songs and artists and albums. There was, however, still a great deal of disclosure in that thread. It prompted us to think about how banter and phatic communication--particularly humor) might help to establish an environment which fosters a sense of community, a space for information exchange, trust, and disclosure. There were a number of examples of risky disclosure: information that might allow someone (perhaps a law enforcement office) to pinpoint the location of someone who is in the act of moving, selling, or consuming illegal substances. One example of this came from a gentleman who described a scenario at a gas station in which he was stopped and searched by a police officer after having just acquired a bag of heroin. He related that he threw the heroin onto the ground, but that the office found a bag of nootropics on him and indicated that he thought it was cocaine and so handcuffed, detained, questioned him, and finally let him go. He was posting on r/opiates because he was about to go back to the gas station to attempt to retrieve the heroin he had previoulsy discarded. Not a great idea. In another thread, the poster related that he was presently on a train from Denmark to Belgium carrying a brick of weed with him in a bookbag. He had just been searched by the authorities at the border with drug dogs, but said that all they found in his bag was the tape he had used to tape the brick into a hiding place in the bathroom. A little while after the first post, someone asked him if he thought it was a good idea to be broadcasting his location and criminal activity right after an interaction with the police. In reply, he ridiculed the notion that the police would be monitoring reddit. Other users appeared more aware that they might be watched. What can we do with what we know? What are some future avenues for research in this area? Huge thanks to my project collaborators Kaitlin Costello (Assistant Professor, School of Communication and Information, Rutgers University) and Ashlee Edwards Brinegar (User Experience Researcher, Facebook/Instagram). I would also like to extend my gratitude to Barbara Wildemuth (Professor, School of Information and Library Science, UNC at Chapel Hill) for advising the project. Thanks to Top of the Hill Back Bar and Sigma Xi for sponsoring Science Cafe. Thanks also to Jonathan Frederick (Director, North Carolina Science Festival) for working with me in preparing for the talk.